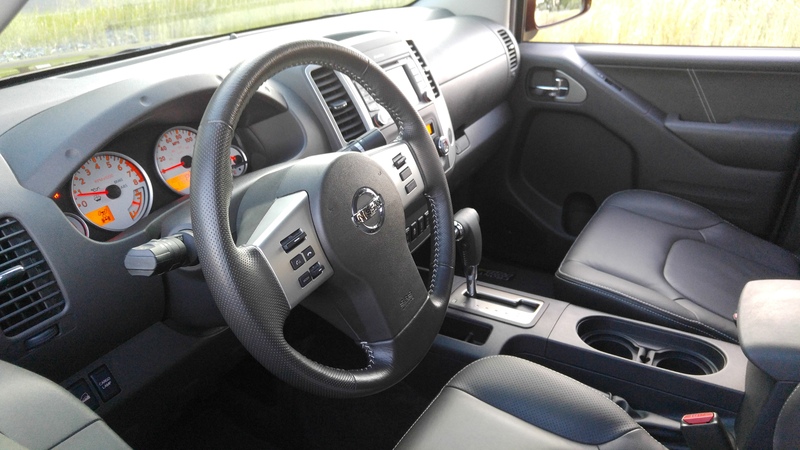 This past week I received for review a new Nissan pickup, the Frontier 4×4 (PRO-4X) four-door crew cab. Nissan, formerly Datsun, has been in business for 102 years (since 1914), and is now the sixth largest vehicle manufacturer in the world. The original company name was derived from the three founders’ initials, DAT. “Sun” was added 17 years later when the company introduced a small car (son of DAT). “Son” means loss in Japanese; hence the name Datsun. At one time, I actually owned a brand new 1971 Datsun pickup when I lived near Cape Canaveral, Florida. It was the model 1600 and I don’t think it cost over $1,600, even though it was brand new. I bought it for going to the beach with surfboards loaded up in back, but I subsequently gave up surfing for marriage, and traded off the Datsun for an automobile. This Nissan pickup I recently tested was the PRO-4X upgraded model with Bilstein performance shocks, triple skid plates (oil pan/fuel tank/transfer case), 16” two tone finished, six-spoke alloy wheels, locking rear differential, P265/75R16 white-letter tires, hill descent/start controls, Rockford Fosgate CD/XM satellite stereo, spray-on bed liner, Bluetooth phone, and special white-faced gauges. The Frontier pickup comes in a rear-wheel drive configuration, but the PRO-4X that I tested is four-wheel drive. The M.S.R.P. 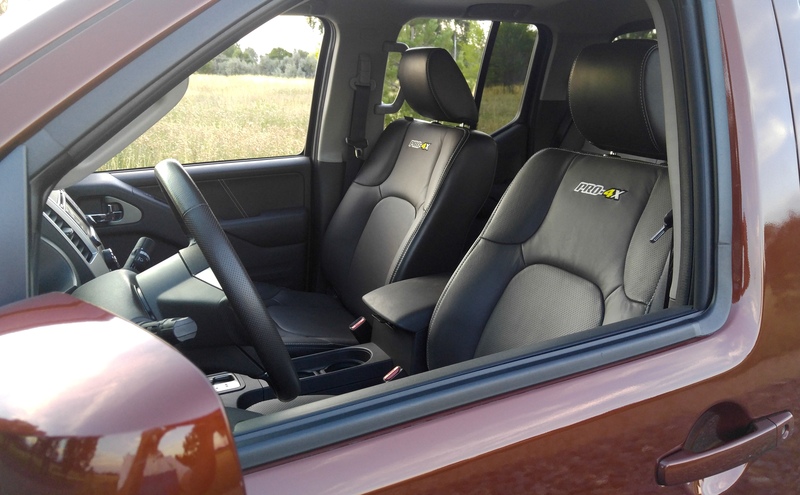 for the 2016 PRO-4X is $36,525.00, including freight ($900.00), floor mats ($135.00), and the Pro-4X luxury package ($2,100.00). The luxury package included navigation (5.8” screen), moon roof, hands-free text messaging assistant, and heated outside mirrors. Power is supplied by a 4.0 liter, 261 horsepower V-6, backed up by a smooth, five-speed automatic transmission. Torque rating in this truck is 281 lb. ft. The four-wheel drive is “shift on the fly”, up to 62 mph – 2 speed transfer case included. Weight of the vehicle is 4,548 lbs., and the wheelbase/length numbers are 125.9” and 205.5”, or just over 17 ft. long. The fuel economy figures are 15 mpg city and 21 mpg highway, with a 21.1 gallon tank. My observance for the week turned out to be 17.3 mpg. I didn’t anticipate that the Frontier would offer such a comfortable ride and quiet cabin. I enjoyed the smooth five-speed automatic, and the vaunted V-6 performed a lot like a V-8. 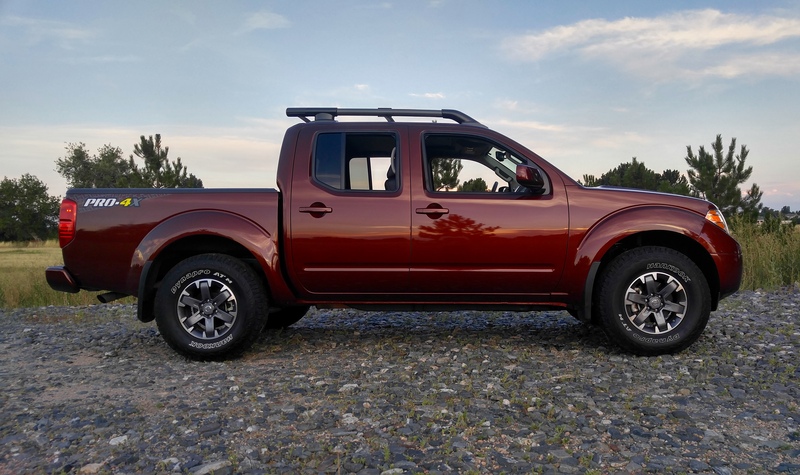 Nissan builds this Frontier with a fully-boxed frame and they provide 10” of ground clearance, factors helping the pickup when encountering the bumps and boulders. For my type of driving the 5’ bed keeps the vehicle manageable for maneuvering in traffic and parking. The leather seating was coupled with a leather-wrapped steering wheel and console-mounted emergency brake. The buckets (driver side – eight adjustments) kept me comfortable all week and the floor shift and storage compartments were sensible. Styling of the truck is fine, and a feature that I liked was the Forged Copper metallic paint as well as the husky luggage rack on top of the cab. Nissan has little competition in this mid-size pickup segment, so they get to enjoy brisk sales of the Frontier; 52,255 for the first seven months of 2016. They’ve gotten it just about right with this model, and to me it would be a safe pick if I were in the market for a new pickup.